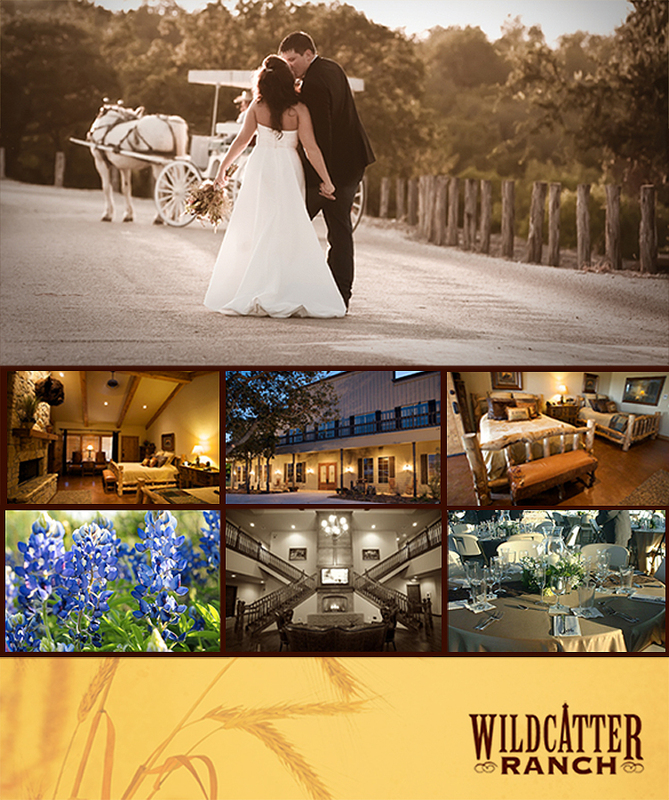 Wildcatter Ranch and Resort sits atop the North Texas hills and undoubtedly has the best view of the wild west in town. Located just 90 miles northwest of Fort Worth, a destination wedding at this Luxe location is hard to beat. This ranch and resort includes the Grand Hall, banquet rooms, and outdoor pavilions – everything you need for a breath taking rehearsal dinner, ceremony and/or reception! So kick back and make yourself at home Texan style. You and your girls can prepare for the big day by pampering yourselves silly at the on-site Sage Spa. You can even gather your whole wedding party for a relaxing day at the pool overlooking 1,500 acres of beautiful country scenery. During dinner at the true Texan Steakhouse, toast with wine from Wildcatter’s award winning wine list and enjoy cold beer from the Blowout Saloon. Take relaxation to a whole new level- at night, you and your guests are welcome to retreat to your one of a kind cabin suite. We hope you’ll check out all of the charming amenities Wildcatter Ranch and Resort in Graham, Texas has to offer! We just adore this top picture of a real couple featured in the Aug. 2010 issue of Brides of North Texas captured by Jodi Potter Photography. Happy Friday!